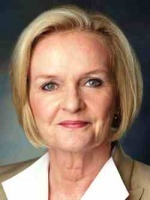 WASHINGTON, D.C. (Oct. 29, 2015) — U.S. Sen. Claire McCaskill today challenged national fraternity and sorority associations’ support for legislation that would undermine and weaken the authority of colleges and universities to adjudicate incidents of sexual assault on their campuses. The national fraternity and sorority groups, including the National Panhellenic Conference and the North American Interfraternity Conference, are organizing in support of a bill that would tie the hands of schools in addressing sexual violence—dramatically weakening their ability to adjudicate allegations of sexual assault on their campuses—while leaving other crimes such as theft and physical assault fully in schools’ control and purview. This legislation, which is opposed by every major victims’ advocacy group, would require victims of sexual assault to report the offense to criminal authorities and wait for the criminal investigation to be completed for the campus disciplinary process to begin. Criminal investigations can take months or years, if they proceed at all, and as many victims do not feel comfortable going to the police, the bill would force them to go through the criminal justice process against their will before the campus can take action. The legislation to undermine campus sexual assault efforts, which has thus far lacked the support for introduction in the Senate, imposes this unique standard of reporting to the police upon victims of sexual assault victims alone—while continuing to allow victims of physical assault or robbery able to access the campus administrative process without a police report. McCaskill also penned letters to three fraternities with chapters in Missouri—Kappa Alpha Order, Alpha Tau Omega, and Sigma Nu—whose national organizations, in addition to their membership in the national fraternity and sorority associations organizing in support of the undermining campus sexual assault legislation—have also retained their own lobbyists, including former Senator Trent Lott, to push for the legislation. McCaskill and Gillibrand have led a bipartisan coalition of Senators in advancing the Campus Accountability and Safety Act—legislation to combat sexual assault on college and university campuses by protecting and empowering students, strengthening accountability and transparency for institutions, and holding perpetrators accountable. The legislation—cosponsored by Republican Senators Dean Heller of Nevada, Kelly Ayotte of New Hampshire, Marco Rubio of Florida, and fellow Missouri Senator Roy Blunt, among others—is informed by feedback McCaskill heard when she traveled across Missouri last fall, visiting 10 different campuses and speaking with representatives from nearly 50 colleges and universities, and by an unprecedented national survey McCaskill conducted of colleges and universities.